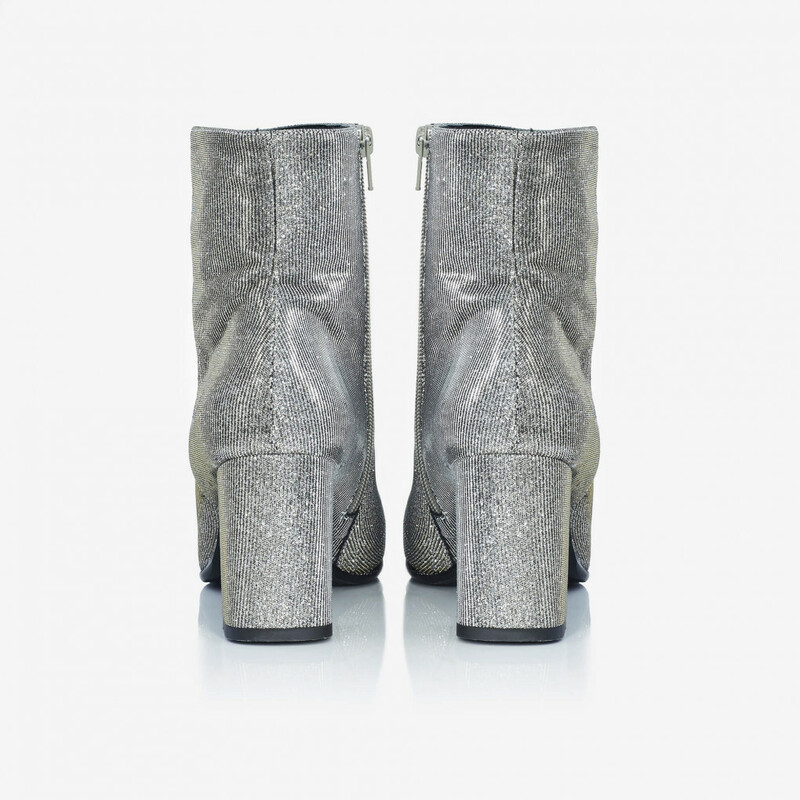 Apairs glittering ankle high textile booties. Semi squared toe. Chunky block heel covered with textile. Zip fastening side. Fits true to size. 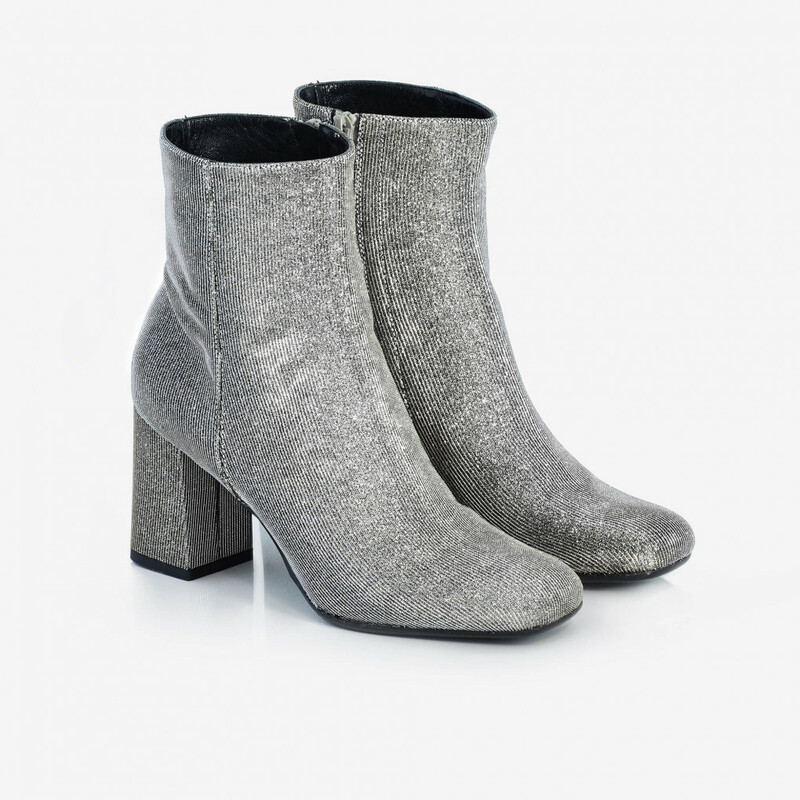 1 x Galaxi Bootie was added to your shopping bag. 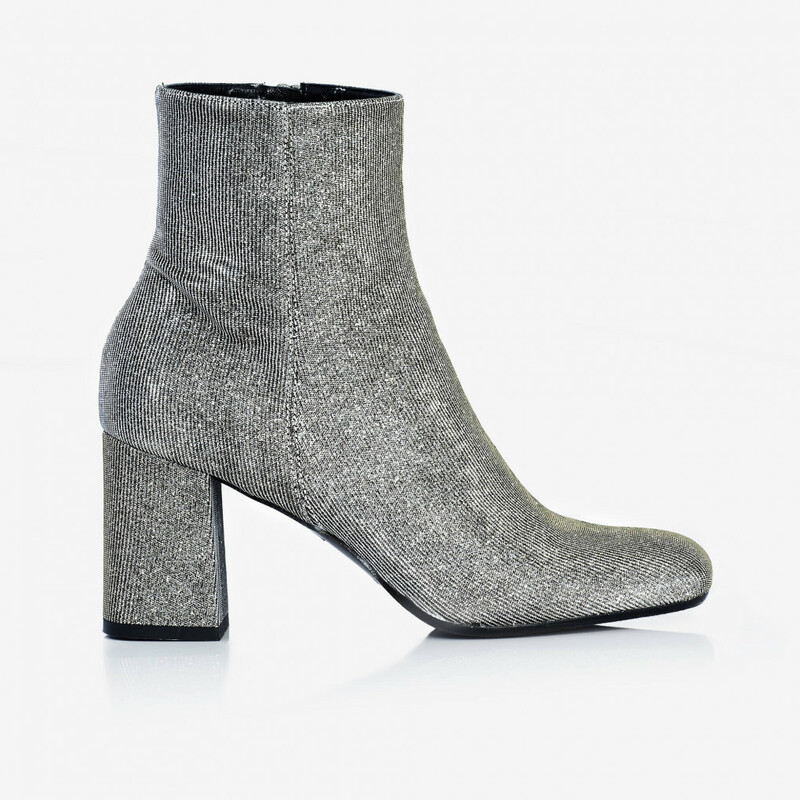 1 x Galaxi Bootie was added to your wishlist.